The Israeli announcement, which reportedly followed “18 months of secret research” conducted by the Israeli government’s Ministry of Social Equality, should not be filed under the ever-expanding folder of shameless Israeli misrepresentations of history. 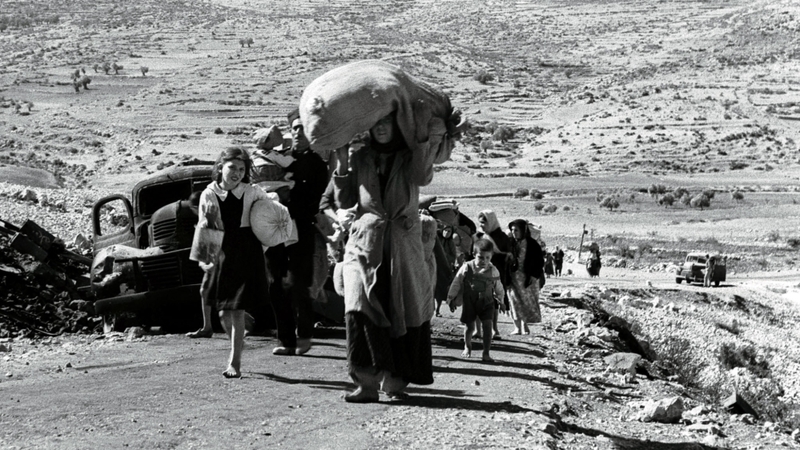 It is part of a calculated effort by the Israeli government, and namely by Minister Gila Gamliel, to create a counter-narrative to the rightful demand for the ‘Right of Return’ for Palestinian refugees ethnically cleansed by Jewish militias between 1947-1948. But there is a reason behind the Israeli urgency to reveal such questionable research: the relentless US-Israeli attempt in the last two years to dismiss the rights of Palestinian refugee rights, to question their numbers and to marginalize their grievances. It is all part and parcel of the ongoing plot disguised as the ‘Deal of the Century’, with the clear aim of removing from the table all major issues that are central to the Palestinian struggle for freedom. “The time has come to correct the historic injustice of the pogroms (against Jews) in seven Arab countries and Iran, and to restore, to hundreds of thousands of Jews who lost their property, what is rightfully theirs,” said Gamliel. The language – “.. to correct the historic injustice” – is no different from language used by Palestinians who have for 70 years and counting been demanding the restoration of their rights per United Nations Resolution 194. The deliberate conflating between the Palestinian narrative and the Zionist narrative is aimed at creating parallels, with the hope that a future political agreement would resolve to having both grievances cancel each other out. This clear declaration of a colonial project in Palestine, communicated with the same kind of unmistakable racist insinuations and language that accompanied all western colonial experiences throughout the centuries was not unique to Ben Gurion. He was merely paraphrasing what was, by then, understood to be the crux of the Zionist enterprise in Palestine at the time. As Palestinian professor Nur Masalha concluded in his book, the ‘Expulsion of the Palestinians’, the idea of the ‘transfer’ – the Zionist term for “ethnic cleansing’ of the Palestinian people – was, and remains, fundamental in the realization of Zionist ambitions in Palestine. Palestinian Arab “villages inside the Jewish state that resist ‘should be destroyed .. and their inhabitants expelled beyond the borders of the Jewish state,” Masalha wrote quoting the ‘History of the Haganah’ by Yehuda Slutsky. What this meant in practice, as delineated by Palestinian historian, Walid Khalidi was the joint targeting by various Jewish militias to systematically attack all population centers in Palestine, without exception. “By the end of April (1948), the combined Haganah-Irgun offensive had completely encircled (the Palestinian city of) Jaffa, forcing most of the remaining civilians to flee by sea to Gaza or Egypt; many drowned in the process, ” Khalidi wrote in ‘Before Their Diaspora’. Posted on Znet January 16, 2019.